Do you have laryngitis of the soul? Do you feel like your voice - who you really are without all the roles of mother, sister, daughter, wife, friend - is silent, or is such a tiny little whisper that you can barely even hear it under the cacophony of other people's voices and demands? If so, you aren't alone. Most women say that they have lost their voice, lost their dreams, lost themselves, after years of living for other people. But there's still something inside of them longing to be heard. They want to live life louder, without having to conform to the expectations of other people's dreams and goals and priorities. Somehow they woke up and found themselves in a life they didn't realize they were creating, and something in the pit of their stomach says that it may already be too late. It isn't too late. But first, you have to figure out what it is you really want. You have to figure out who you are at the core, after the other stuff has been peeled away. And that's what authenticity is all about: Defining you and your life on your terms. It's not an easy process, but it is a simple one, and that's what this book is all about. 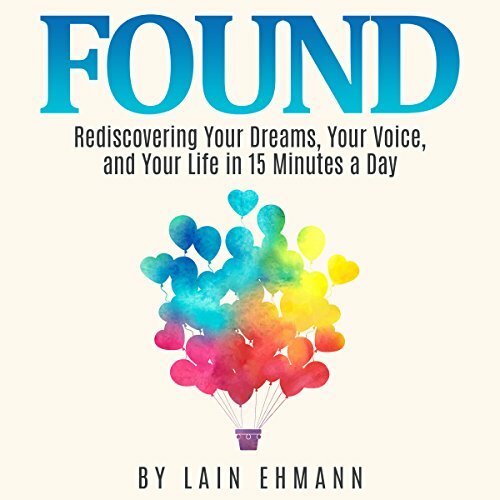 In its minutes, life coach, speaker, and author Lain Ehmann will lead you on a process of finding out what that little voice is really saying, and in the process of listening, you just might find the secret to the life of your dreams. Something prompted you to pick up this book to begin with. That little voice won't yell or scream or throw a temper tantrum to make you listen. Instead, it will just go back to its corner and silence itself, until one day you can't hear it anymore.